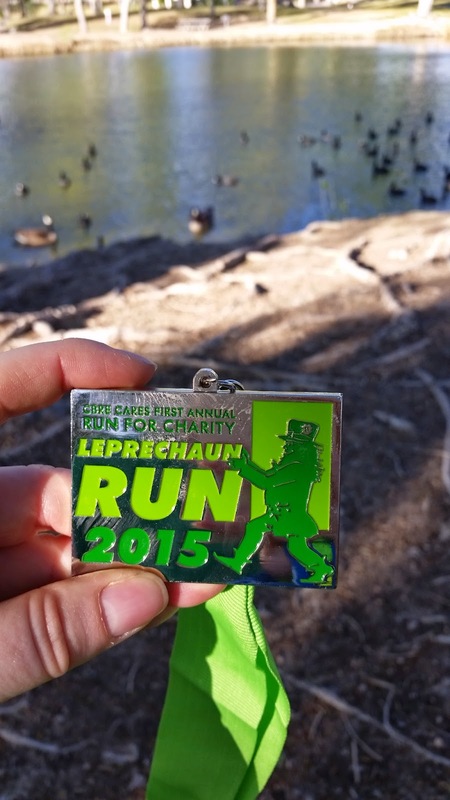 This past weekend I ran the Catch the Leprechaun 5k just outside of Vegas. Wow! 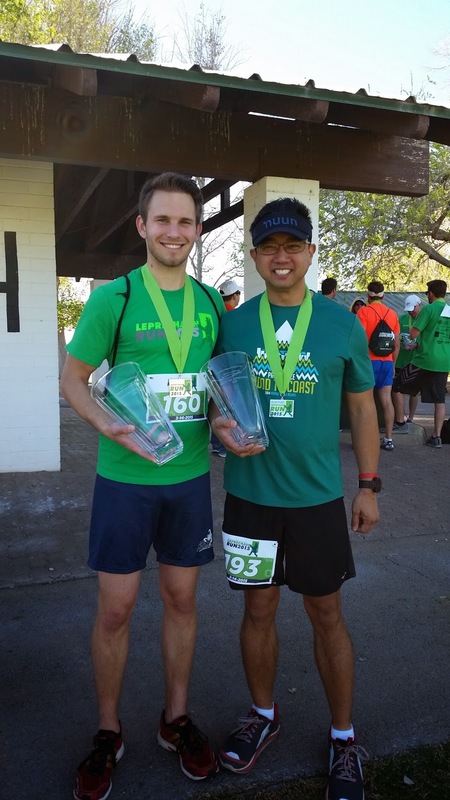 What a completely different race experience than my previous 5k. The before and after race were fun, but the actual race itself was TOUGH! And most of this race was on a well groomed dirt path. Not really a trail per se, but enough to slow me down slightly. But I can't really blame the terrain. No, my body just wasn't feeling this one. Everything felt TIRED - my legs, my feet, my mind. There were many times throughout the race that I just wanted to stop. But my C Goal - no walking - kept me going. If I hadn't made that one of my goals for this race, I know I would have stopped to walk. Probably more than once. Around mile 2, I got a pretty nasty side stitch that simply wouldn't go away. Still, I pressed on. I kept trying to push myself to go faster, but it just wasn't in the cards. 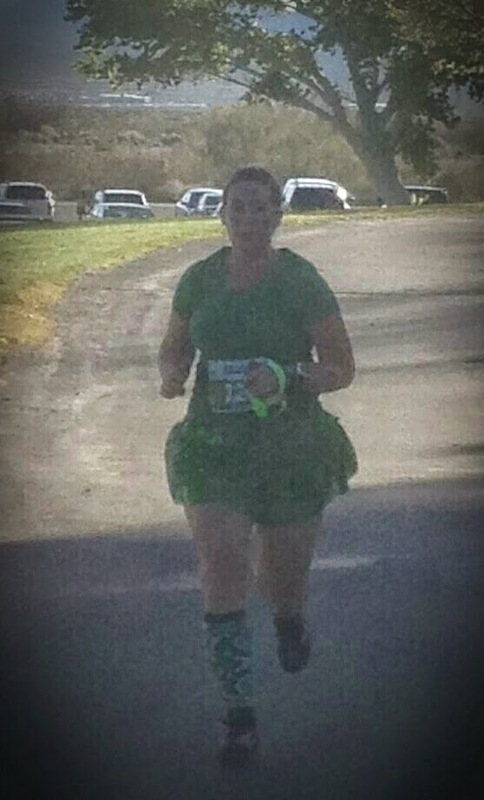 Around 2.75 miles, the course had to cut back over to the paved trail through the park. This part of the course wasn't nearly as well groomed. Larger rocks in the gravel. Traversing across some grass. Nothing too serious, though. When I hit back on the paved section to head to the finish, I was finally able to give it my all all I had left. Nowhere near a PR for me, but I'm still happy with my time. I did make my B Goal (sub-30), after all. After the race, we stuck around for the awards - something we normally never do - but we're so glad we did this time! You see, my friend, George, won first in his division and walked away with this neat award/vase. And everyone who ran got this really cool medal. 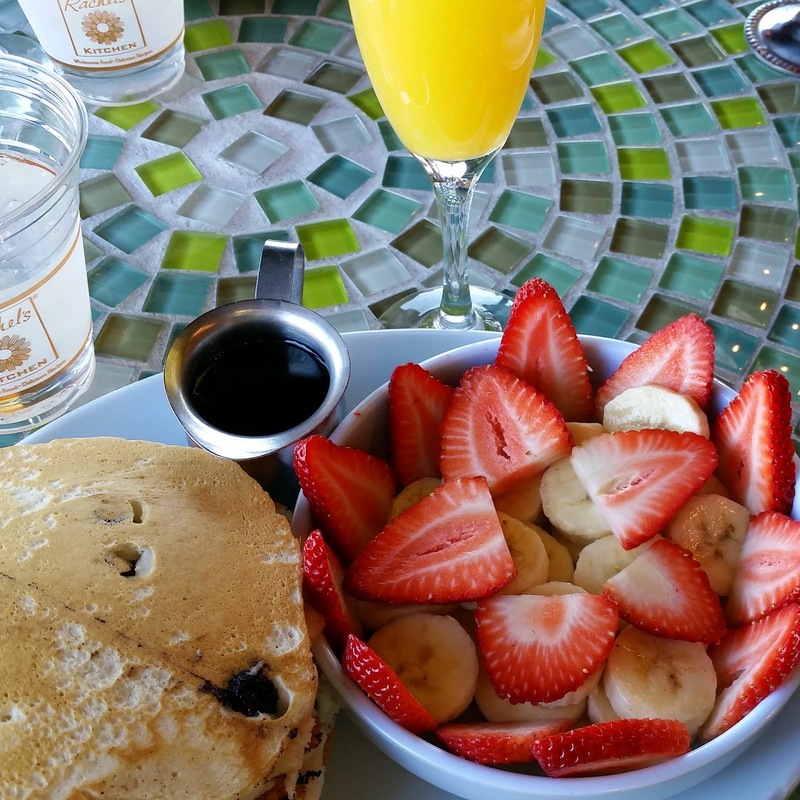 And this really cool medal also got us a free Mimosa (or champagne) at Rachel's Kitchen, so naturally, we had to go out for breakfast after the race. It was a pretty good start to the weekend, even if the actual race wasn't my favorite. Ever have an off-race, where nothing was clicking? Great job Clarinda! I'm always much slower running on trails like that, rather than a paved trail. You still did awesome! And go, George! Wow! How is your ankle feeling? Did you fall, or just twist it while running? I hope you're ok! My ankle is A-OK. :) It was just a very minor little twist. I caught myself before falling, and there as no residual pain after the race. Yay! 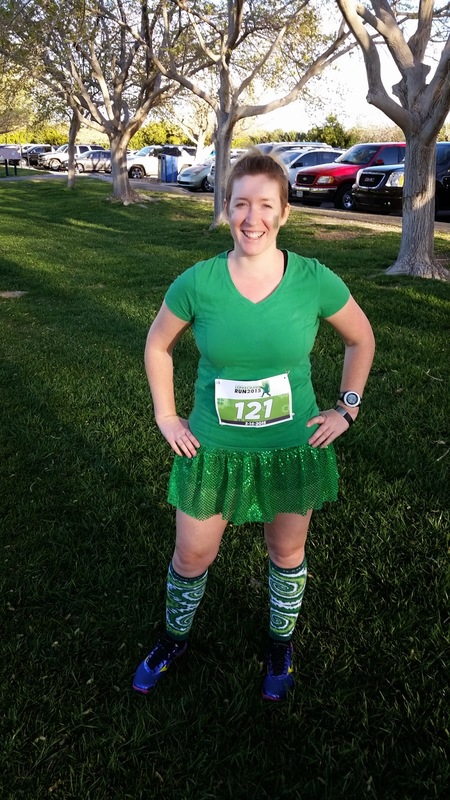 You ran a great race in a cute outfit :) That's a good day! Glad the twist wasn't serious.